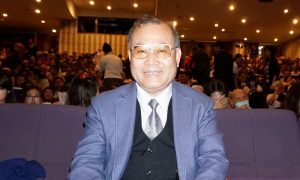 BOSTON—Chinese businessman Mike Li has been watching Shen Yun Performing Arts every year for the past several years. And at each performance, Li would find himself moved to tears. 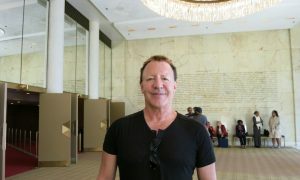 The export trade businessman said he does not know why tears would just roll down his face during the show, but he thinks that there is inexplicable energy from this traditional classical Chinese dance and music performance that has opened up his heart and allowed his inner world to be touched. It is this culture that Shen Yun aims to revive. By touring across five continents around the globe, the New York-based company hopes to bring back this culture filled with universal values and inspire audience members through performing arts. 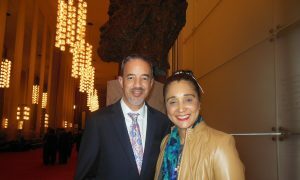 Li said the values and themes depicted in Shen Yun had certainly inspired him and touched his heart. “For the past several years I’ve been busy with my business, and I felt I’ve been living quite muddleheaded. One day someone told me about traditional culture portrayed through Shen Yun. I decided to have a look and I could tell that this was genuine traditional culture because it was different from what I heard or saw [in China] in the past. 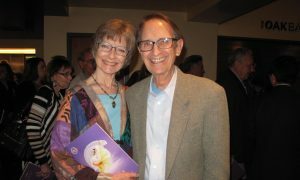 I think this genuine culture portrayed by Shen Yun can be revived,” Li said. 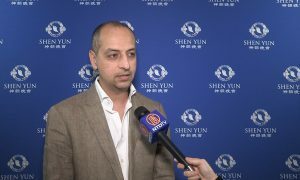 Li added that the spiritual themes portrayed in Shen Yun are a real reflection of how human society was back in ancient China and he hopes that it could be brought back. “For the past several thousand years Chinese people venerated divine beings, heavens, and earth. Human interactions were harmonious … and there was harmony between heaven and earth. However, this harmony no longer exists [in modern China],” he said. Despite being a Chinese cultural performance, the emcees said Shen Yun is a show that cannot be seen in China. Shen Yun’s performance portrays spiritual themes in many of its pieces, which has irked the officially atheist communist regime. Moreover, some of the pieces portray real-life human rights abuses in China like the persecution of Falun Gong—which are sensitive topics the Chinese regime aims to hide. Falun Gong is a spiritual practice that’s currently banned in China. It involves meditation exercises and a set of teachings centered around the principles: Truthfulness, Compassion, Tolerance. People who are caught practicing the discipline in China face severe persecution, including torture, imprisonment and even death. 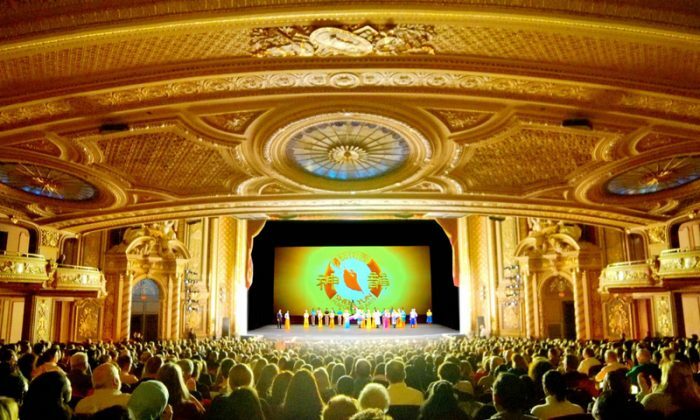 Many of Shen Yun’s performers practice Falun Gong, according to the Shen Yun website. Li said he found it strange that Shen Yun cannot be seen in its homeland. 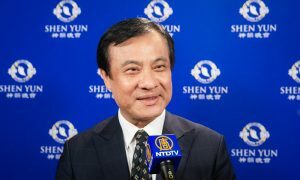 The businessman said he wished more Chinese people could experience their authentic culture through Shen Yun. This year, he took his Chinese friend, who has lived in the United States for about 20 years, along with him to see the performance in Boston. 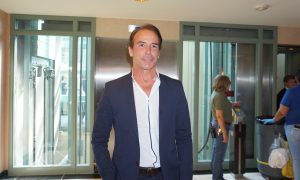 “After seeing the performance [my friend] said it was very good. In fact, he said he didn’t expect it to be this great. Before coming, my friend asked me whether this was ‘propaganda’ and whether he would be brainwashed [as spread by the Chinese regime]. He initially thought it was propaganda,” Li said. The Chinese Communist Party has, over the years, spread propaganda about Shen Yun to undermine its cultural mission. “But after watching the performance he thought it was very good. And found it very moving,” Li said. With reporting by Sherry Dong and Janita Kan.